My daughter Kaedyn was 9 days old when she started seizing. She was rushed to our local hospital in East Liverpool, Ohio. 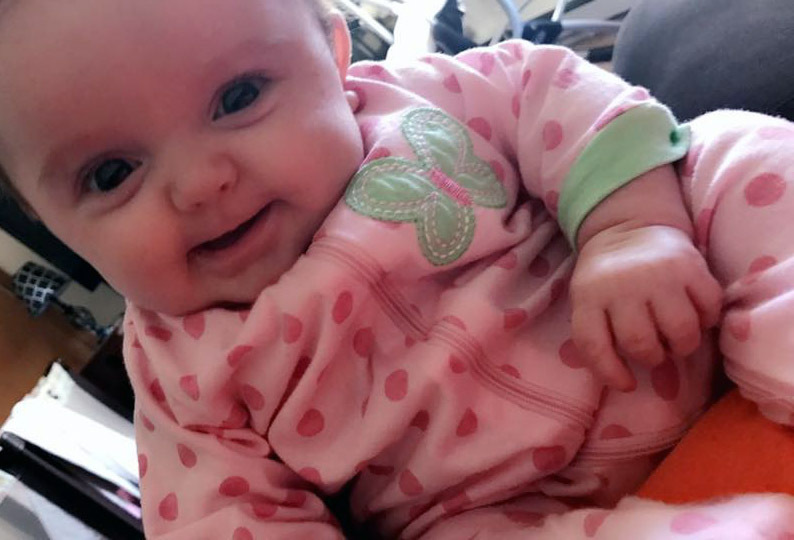 After finding that her white blood cell count was 58,000, she was then life flighted by Akron Children’s Hospital. She spent 2 weeks in the PICU (pediatric intensive care unit) where she fought hard for her life. She was put on seizure medication to try to get her back-to-back seizures under control, which led her to stop breathing on her own. A medically induced coma was necessary. Her first MRI showed that there was severe infection in the ventricles of her brain. The doctors could not give us positive hope because there was none at the time. This was bad, and we all knew it. 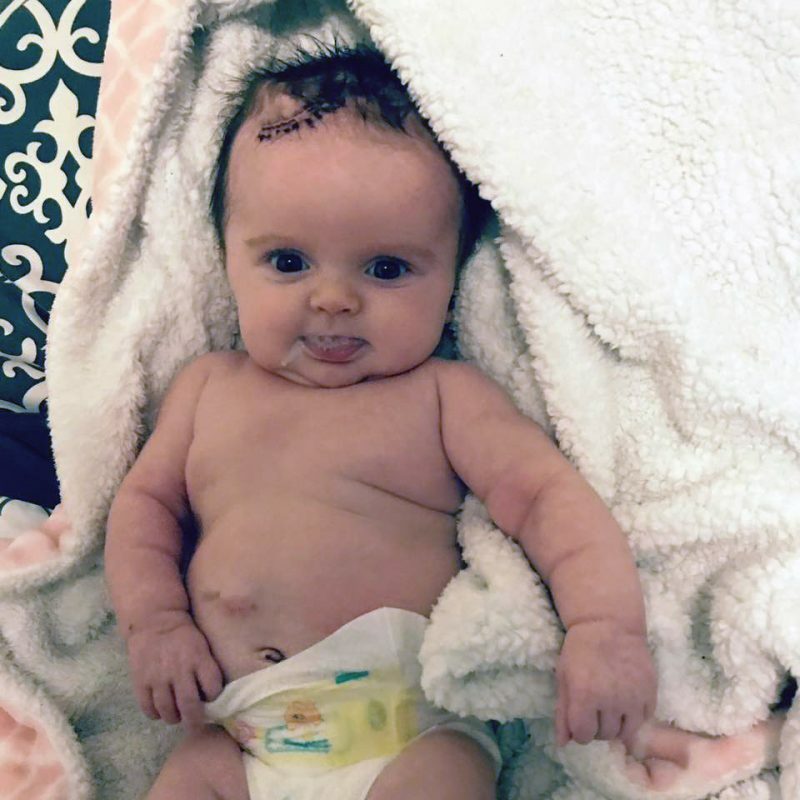 We were told that we were just unfortunate parents watching something bad happen to our baby and that there was absolutely nothing we could have done to prevent what was happening to her. She underwent multiple scans, spinal taps and a temporary VP shunt to drain the excess fluid off of her brain. She was given a range of antibiotics to see which one the bacteria was the most sensitive to. Finally, the doctors were able to pinpoint the bacteria from the growing culture. 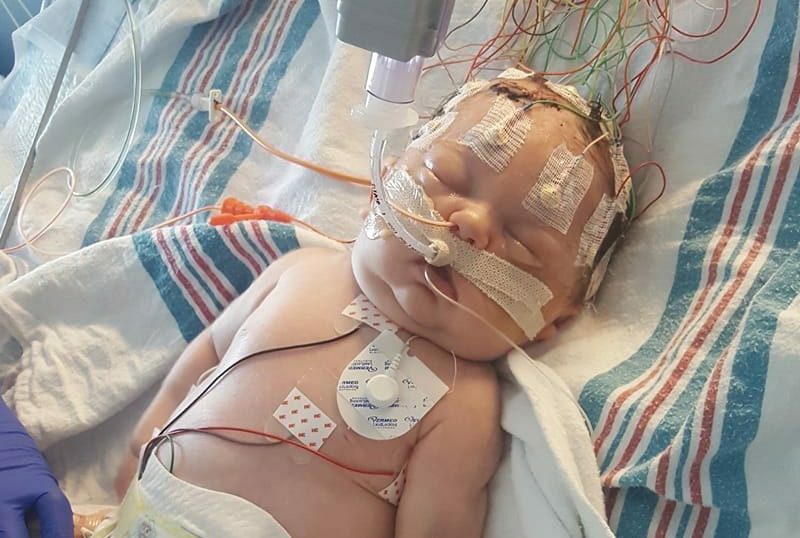 They treated her with one antibiotic, the one they knew would kill the bacteria off, but in turn they did not know how her little brain would take to the severity of infection. They told us she may never be normal, but only time can tell. After spending 22 days at Akron Children’s, we were released to finally take our baby girl home! She is now 3 months old, and we are still climbing the hills we knew we would have. Since leaving our long hospital stay, Kaedyn has had to have a permanent shunt placed in her brain to constantly drain excess fluid. She is now considered epileptic, but her seizures are controlled with 2 medications. She also developed a blood clot in her brain which is still being treated by blood thinners. We may have a long way to go, but each day is a true blessing! This has changed the way we look at life and has made us so very thankful for the things we do have. I want to send a VERY special Thank You to the outstanding PICU team who saved our daughter’s life! Thank you for not only taking amazing care of my daughter, but also for making sure my fiancé and I had everything we needed while staying by her bedside. You guys are truly wonderful!